Comes with Free shipping + Free finger inserts + Free case! 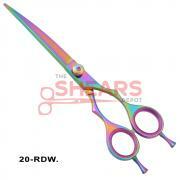 Description: Downward curve rainbow multicolor scissor. 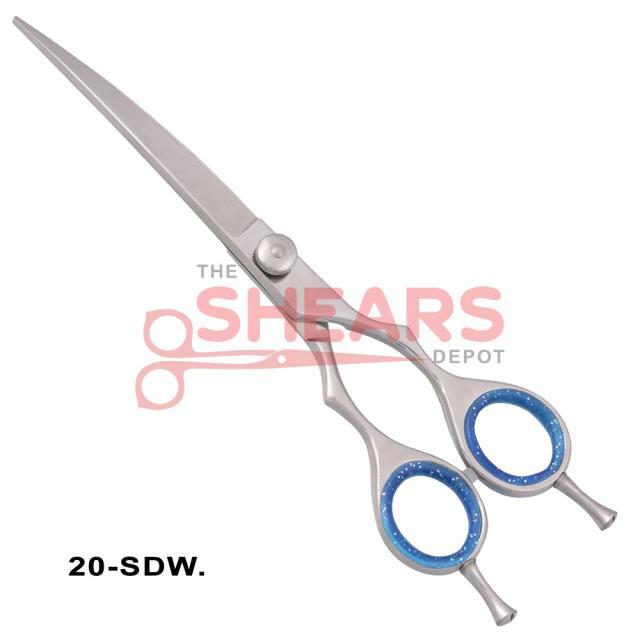 Excellent quality stainless steel. Free shipping! Free case! Free finger inserts! with your purchase. 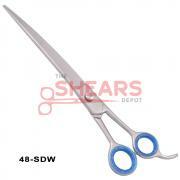 Description: Magnificent quality professional down curved shears in a beautiful blue titanium finish. Made of professional grade J2 420C Japan Steel. 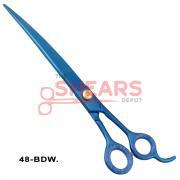 Description: Excellent quality professional grade downcurved shears in a mirror polish finish. Made of J2 420C Japan Steel.